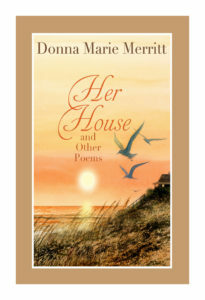 Merritt's sixth book of poetry begins with her husband's infidelity and makes clear that no woman (certainly not this poet) will put up with that. 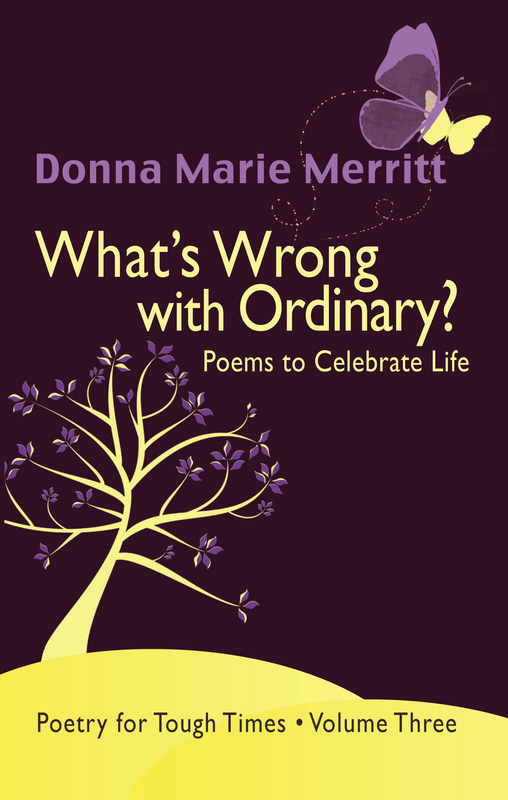 This collection of 60 poems includes reflections and observations about society, human behavior, and the healing gift of nature. Click here for more info. 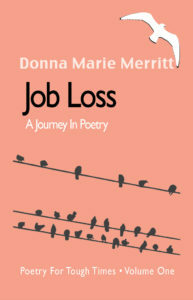 The idea for this chapbook began with Merritt's encounter with a homeless man. Realizing she would never know his story, she began wondering about so many nameless others. These twenty-two poems have been described as "drops of conscience." Cover art by Chris Demarest. 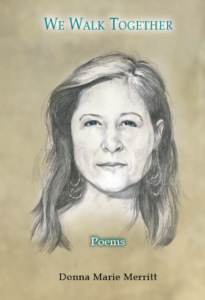 From walks in the woods to ocean strolls, from a good glass of wine to celebrating joy in growing older, this collection speaks to the heart with poems about everyday life. Cover art by Wendell Minor. After losing her job and nursing her husband through an aggressive cancer, Merritt reflects on the everyday blessings in life (a snowfall, good food, raising children), while taking the time to poke fun at subjects such as menopause. Please contact the Hickory Stick Bookshop for availability: 860-868-0525. 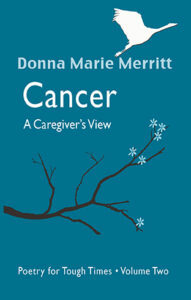 As the poet navigates the unexpected medical and personal world of her husband's cancer, she takes the reader along a journey that encompasses fear, anger, sorrow, laughter, and ultimately, joy in surprising and unfamiliar places. Walking into the office one morning, she is met by the HR person, given a box, told her position has been eliminated, and asked to pack her things. 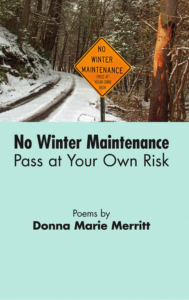 Feeling betrayed, angry, hurt, and shocked, Donna's response is to write poetry.